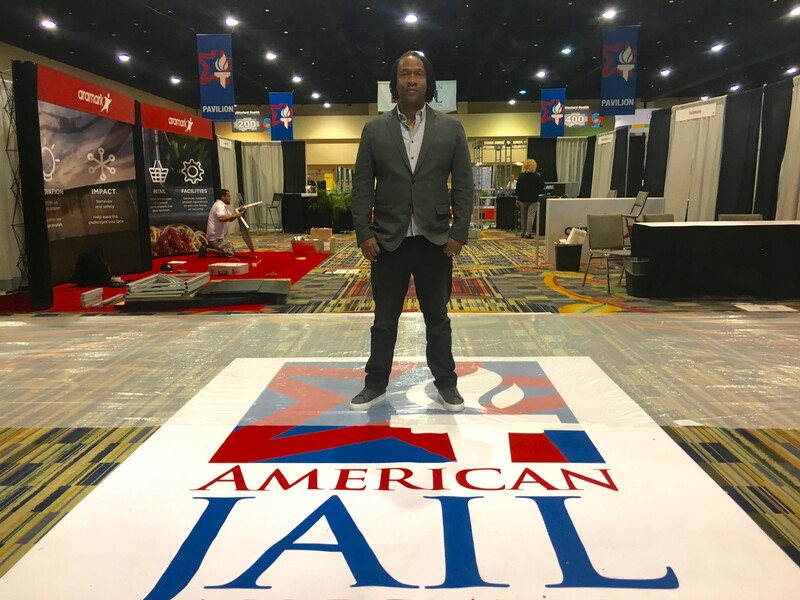 Academy Award-winning director Roger Ross Williams and CNN Films today announced their collaboration on a new documentary feature, AMERICAN JAIL. The provocative, often deeply personal film explores what fuels America’s prison system. Williams’ investigation presents a range of stakeholder positions, and offers working examples of potential solutions, even traveling to the Netherlands for cases of success, to address the ‘prison pipeline’ that criminalizes the mistakes of the poor and the vulnerable. CNN Films holds exclusive North American broadcast rights to the film. AMERICAN JAIL will premiere on Sunday, July 1 at 8:00pm and 11:00pm Eastern on CNN. “I’m very excited to bring this film to CNN Films’ audiences. Our criminal justice system is broken on many levels, and I believe that it is essential for every American to understand what is at stake: tax payers’ dollars, the economy, human potential, and human lives,” said Williams. Williams launches AMERICAN JAIL with a quest for understanding the factors that led a childhood friend to commit suicide at the age of 52. Thomas Alvin made relatively common mistakes in his young life: challenging authority and excessively drinking. “He was the last person I would have expected to end his life,” Williams narrates in the film, recalling a sweet-natured friend and family man, who rose early to make meals for his now devastated daughter. As Williams researches what factors yielded very different outcomes for his own life from that of his friend, he also learns that “Tommy’s story” is far from unique. “Roger’s perceptive voice has always added singular cinematic insight to understanding how, despite our outward differences, people around the world have the same desires: the hope to be understood, and the desires to love and be loved. With AMERICAN JAIL, Roger seeks to expand our compassion for people caught in a cycle of incarceration, to inform our comprehension, and to ask whether ultimately, our policies service society,” said Amy Entelis, executive vice president of talent and content development for CNN Worldwide. Williams’ quest also turns inward. “The irony is [that] homosexuality may have saved my life,” Williams narrates in the film. Although closeted from even his closest childhood friends, Williams says his self-awareness motivated him to leave Easton, PA, for an education and to engage in work that would help him find others who would better understand him. Eventually, Williams became a journalist and independent filmmaker. Williams says that his personal safety, and even survival, depended upon that mission. “[Tommy’s story] would have been my story, if I hadn’t gotten out of Easton,” Williams says in AMERICAN JAIL. AMERICAN JAIL is written, directed, and produced by Roger Ross Williams is produced by Femke Wolting and Bruno Felix. AMERICAN JAIL is executive produced by Amy Entelis and Courtney Sexton of CNN Films, and Mette Hoffman Meyer and Nick Fraser. David Teague and Mike Peterson are the editors and Hans Bouma and RaMell Ross are cinematographers for AMERICAN JAIL. More information about the film may be found by visiting www.CNN.com/shows/american-jail-film. This is Williams’ second production for CNN Films. BLACKFACE, about the peculiar Dutch Christmas season costume custom, a CNN Films documentary short, was released in 2015 via CNN Digital Studios. During its July 1, 2018, premiere, AMERICAN JAIL will stream live for subscribers via CNNgo (www.CNN.com/go and via CNNgo apps for AppleTV, Roku, Amazon Fire, Samsung Smart TV, and Android TV) as well as on the CNN mobile apps for iOS and Android. The film will be available beginning Monday, July 2, on demand via cable/satellite systems, CNNgo platforms, and CNN mobile apps. AMERICAN JAIL will encore Saturday, July 14 at 11:00pm Eastern (8:00pm Pacific).